On September 22nd, 2017, Devin Townsend Project played a special show at the Ancient Roman Theatre in Plovdiv, Bulgaria, celebrating the 20thanniversary of the landmark Ocean Machine album in full, as well as a set of fan-requested tracks alongside the Orchestra of Plovdiv State Opera. 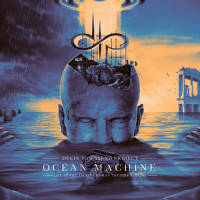 This concert was filmed, and on July 6th, 2018 it will see the light of day as ‘Ocean Machine – Live at the Ancient Roman Theatre Plovdiv’. Devin Townsend Project released the much acclaimed ‘Transcendence’ in late 2016, before embarking on one of their biggest world tours ever. This new live release marks the end of an era, as Devin Townsend Project was disbanded in early 2018 to pave the way for Devin to focus on numerous other creative, musical endeavours of which he is currently hard at work on.